Is a Ban or Fee on Single-Use Bags Coming to NJ? What’s in the bag for New Jersey retailers and their customers? It depends on who you ask. There are a few current proposals by state lawmakers to reduce the number of single-use carryout plastic and paper bags found in the state’s landfills, waterways and coastal areas. A-3267 would impose a 5-cent fee on single-use carryout bags, an approach now enforced by several municipalities and counties to help foster the use of reusable bags by shoppers. 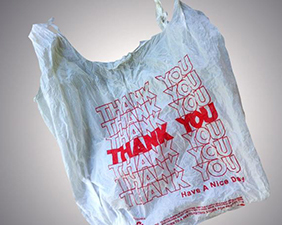 A-4040 would begin a three-year phase out of plastic bags until they are banned permanently. There have been several attempts over the years to pass legislation in New Jersey to reduce the use of plastic bags, but all the bills, which were previously opposed by NJBIA, failed to make it out of committee. In New York, the story has been decidedly more interesting because Gov. Andrew Cuomo initially blocked a 5-cent surcharge on plastic bags in New York City, only to propose a statewide ban of plastic bags two months ago. The elimination of plastic bags will cut down on pollution on beaches and landfills, supporters say. But some environmentalists from around the state have varying opinions on whether a bag fee or a bag ban would be more effective. Some industry groups, while lukewarm on the desire for a ban or a fee, would prefer a statewide policy, rather than a series of different local ordinances that confuse retailers and shoppers alike. For example, recently-introduced ordinances in Hoboken and Jersey City would require retailers to provide only reusable or recyclable bags to customers. In addition, Hoboken’s bill would specify that retailers charge customers for non-plastic bags. What would you like to see? A non-reusable bag ban? A fee? Local ordinances or a statewide policy? Or none of the above? NJBIA would like to hear your comments. Please email our Chief Government Affairs Officer Chrissy Buteas at cbuteas@njbia.org.